100% Cotton. 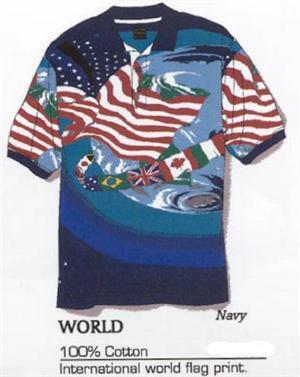 International world flag print. The print on front is also on back.